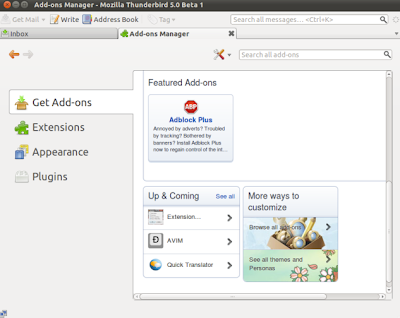 Mozilla Thunderbird was the candidate of default mail client application in ubuntu 11.010 (Oneric Ocelot). Yesterday, Mozilla Thunderbird 5 has released and available for download. 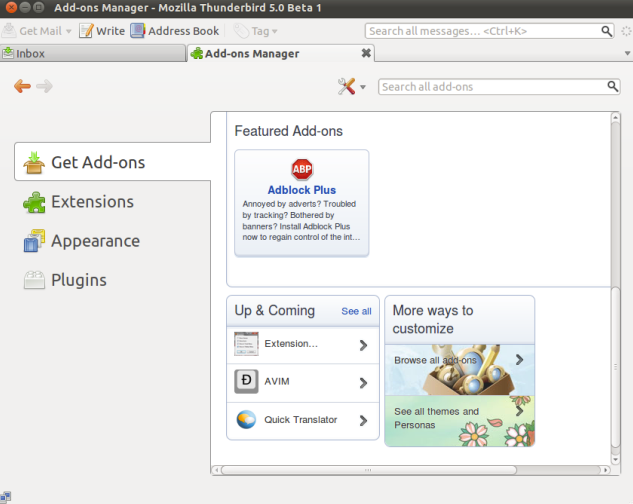 One of the most visible great features available on new Thunderbird 5 is the enhanced Add-on Manager. You can now get exclusive information about upcoming extensions, get extension suggestions (featured add-ons) and check out Thunderbird themes and personas for customization purposes (just like Firefox browser, isn't it ?). Mozilla Thunderbird 5 is ready to hit.